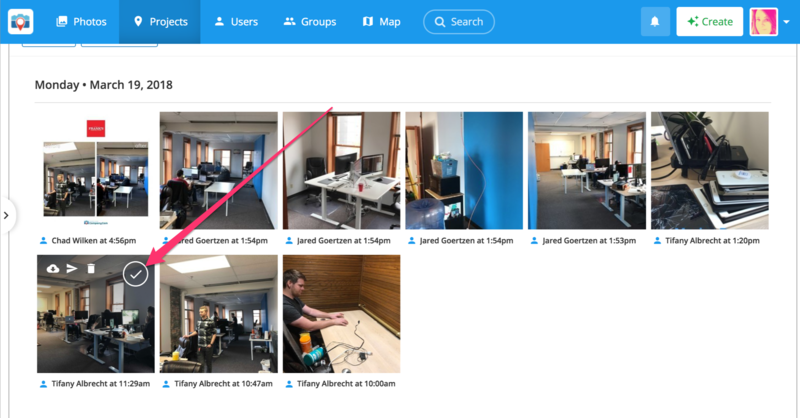 Now it is super simple to show off Before and After images of your work! Tap to open the 'Before Photo' and tap the 3 dots (upper right corner). Choose 'Take After Photo', line up the image and snap the photo. Optional: Tap the outline icon (see image below) for the green outline feature. Tap 'Choose After Photo' to select a previously taken photo to be the after image and tap 'use photo' (upper right). Template options are across the bottom of your screen. Tap on a template to preview the image and then 'Save' (upper right). Click the checkmark (upper right corner on the photo) to select a photo. 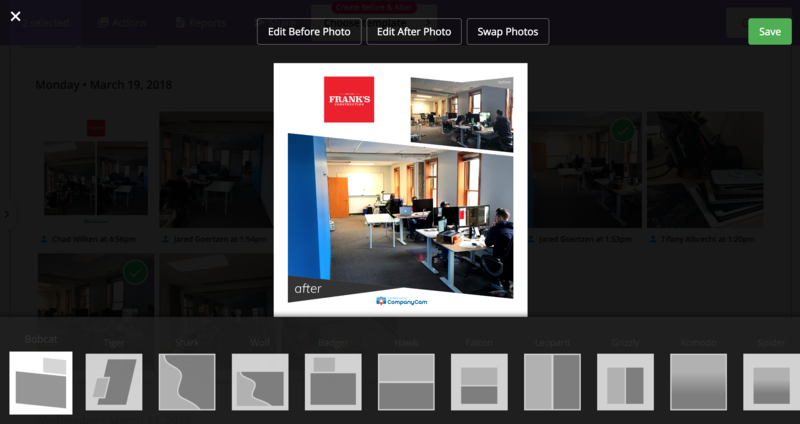 After choosing any two photos, Click 'Create Before & After' from the menu at the top of the screen. 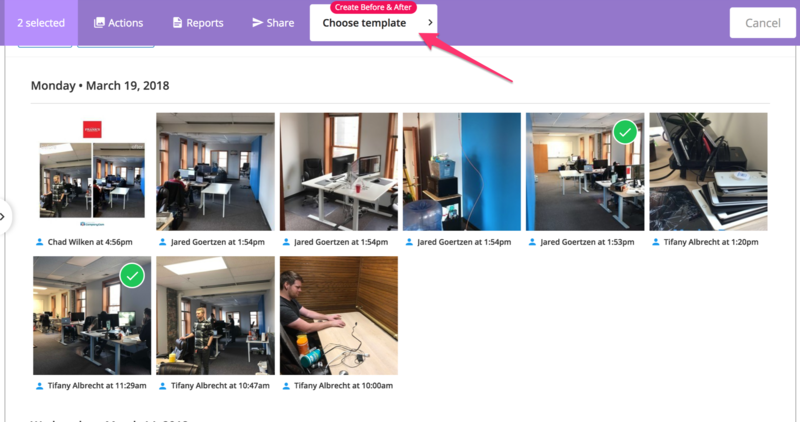 On this next screen: edit photos, swap Before/After position of each photo, and/or choose a template from the bottom of the screen. Once edits are complete, click the 'Save' button (upper right).